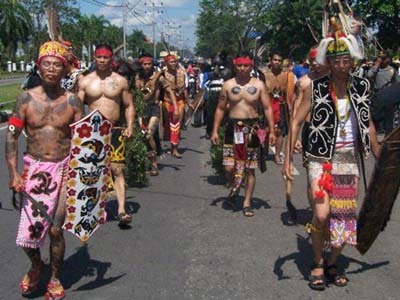 Overview: The Barito of Kalimantan people cluster encompasses ten ethnic groups, only one of which--Bakumpai--is larger than 100,000. These groups are found in central and eastern Kalimantan, the Indonesian portion of the island of Borneo, along the Barito River. Islam and Animism dominate the spiritual lives of these people groups, with few known believers among them.